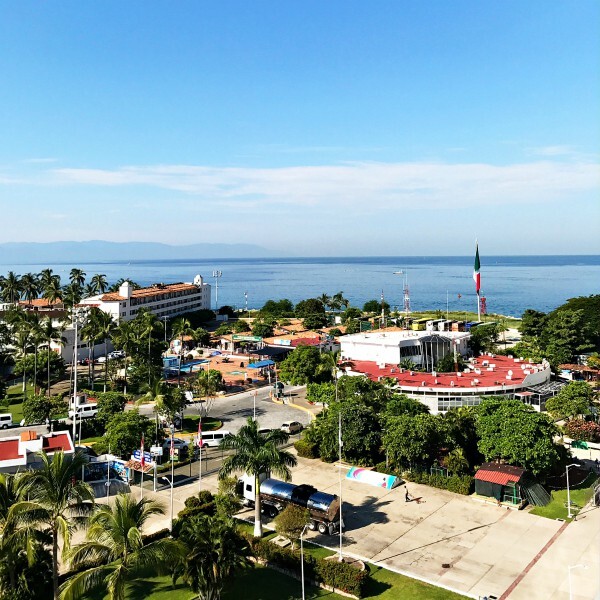 Check out What to do in Puerto Vallarta, Mexico, on my Mexican Riviera Princess Cruise Kayaking, Waterfall and Snorkeling Safari excursion, plus more! 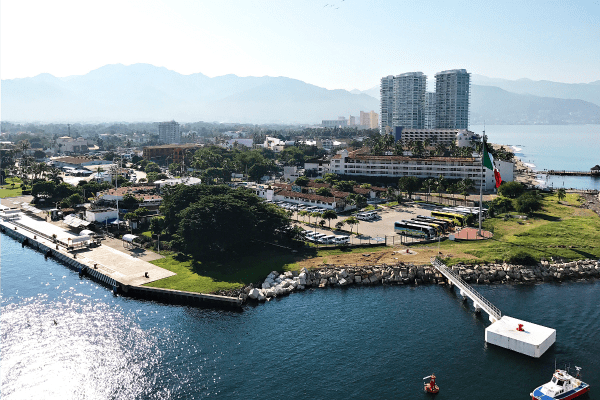 Friends, on our recent Mexican Riviera Princess Cruise on their Ruby Ship, we celebrated our 25th wedding anniversary in Puerto Vallarta, with some of the most enjoyable culinary experiences! 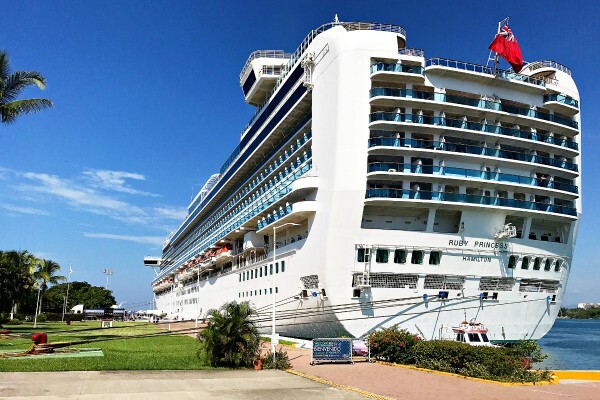 If you’re wanting to go on a cruise, read more here, 10 Tips to Planning your Mexican Riviera Cruise! 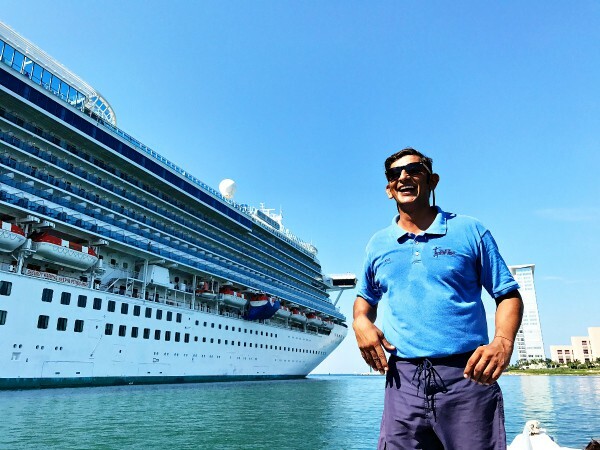 Some of the highlights of cruising are the land excursions when the ship ports. 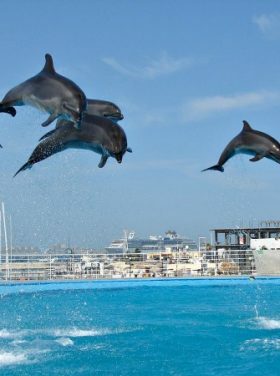 We couldn’t be happier with the excursions we chose in Peurto Vallarta, Mazatlan, and Cabo! And the Princess staff were always there to help us choose what is best for us! 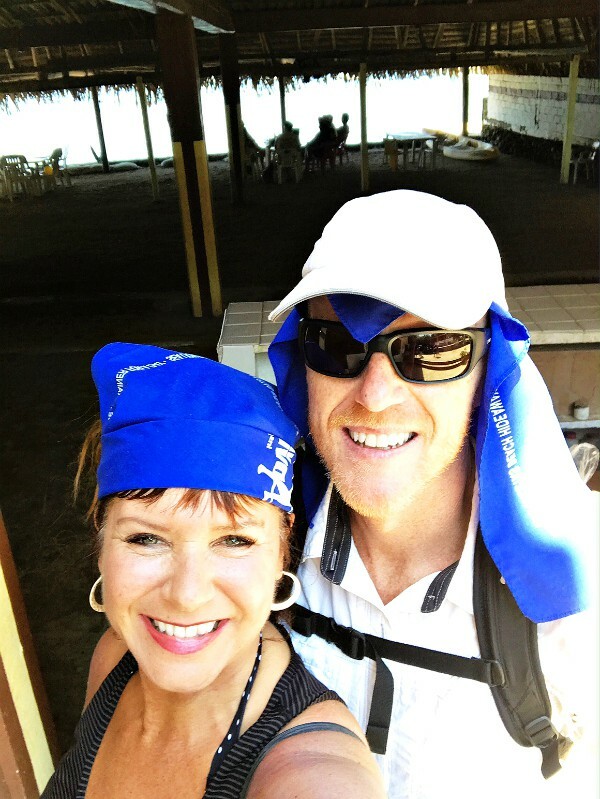 When we got off the ship in Puerto Vallarta for our day excursion of kayaking, waterfall visit, and snorkeling safari, my husband and I reminisced back 25 years earlier to our honeymoon and time together in this beautiful city! We started off piling into our boat, ready for our outdoor adventure! 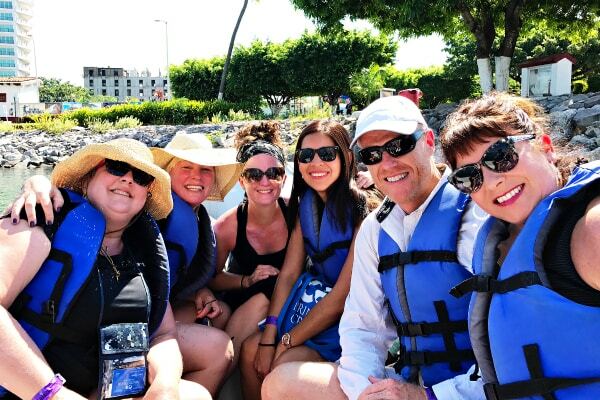 We didn’t know there is only one way to explore Puerto Vallarta’s southern shores and traditional fishing villages, and that is by boarding an inflatable speed boat and heading out to discover coves and beaches accessible only from the sea! The scenery was mesmerizing, hanging out in the tropical jungle, swimming, and enjoying the lush forest! 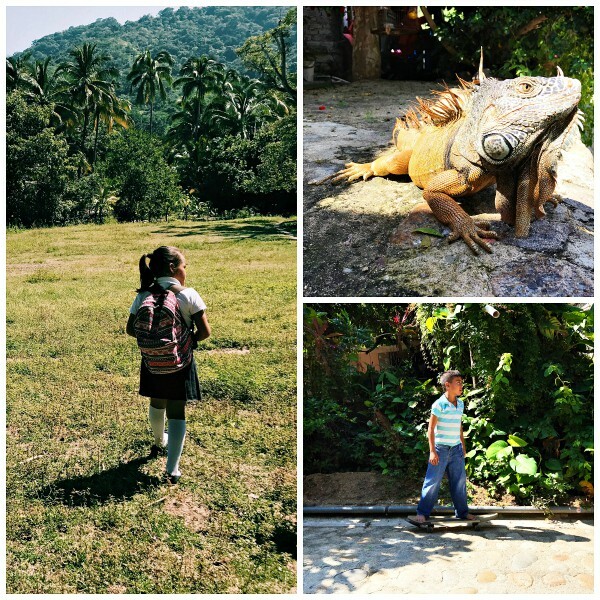 While in the charming Mexican fishing village of Quimixto, we wandered around the village (the children were just walking to school), taking it all in. And we geared up for the most exhilerating horse back ride! The daily life in the village. Horseback riding is not for the faint of heart, let me tell you. 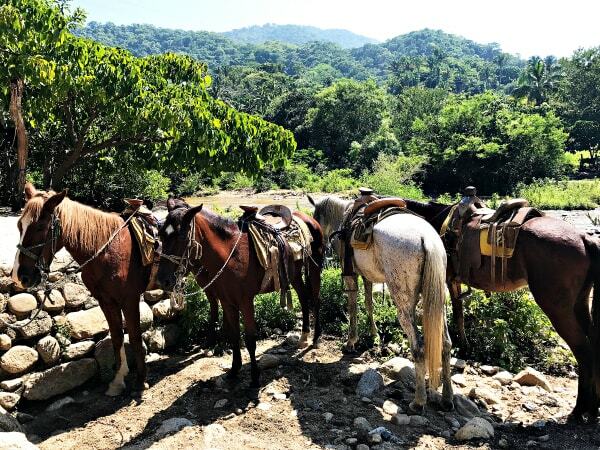 We had some spirited horses, but they were comfortable with each other, and knew their way up the mountain. It’s adventurous, Friends! The butterflies? We were told they were “spirits of the ancestors,” flittering around (and there were a lot of them, very beautiful). Where we enjoyed swimming in the waterfall, a beer, and fresh guac and chips. 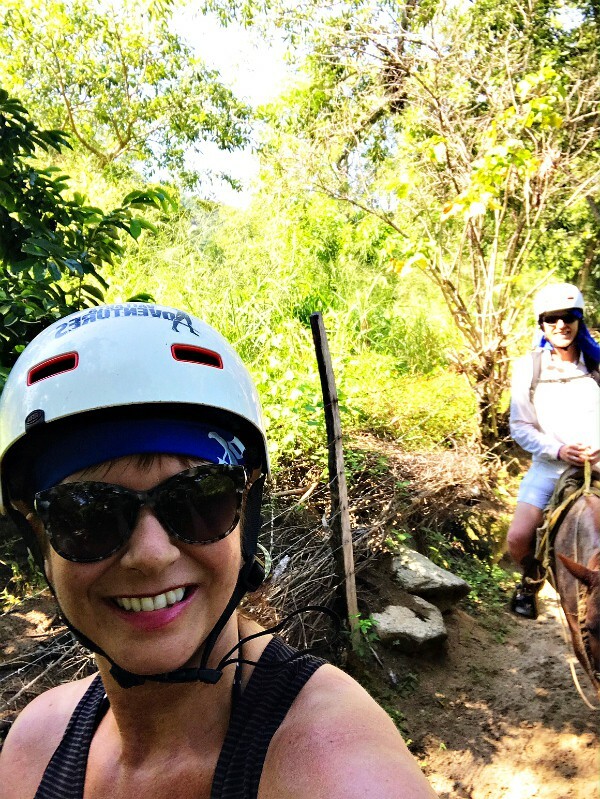 And then, the horses brought us back down the mountain, to jump on the raft again and head out to snorkeling waters, at a secluded cove in Majahuitas. 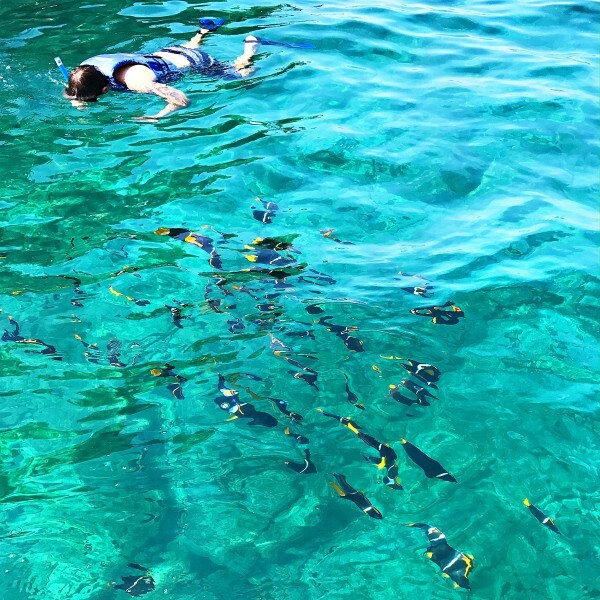 We swam in the pristine waters with the most beautiful fish. 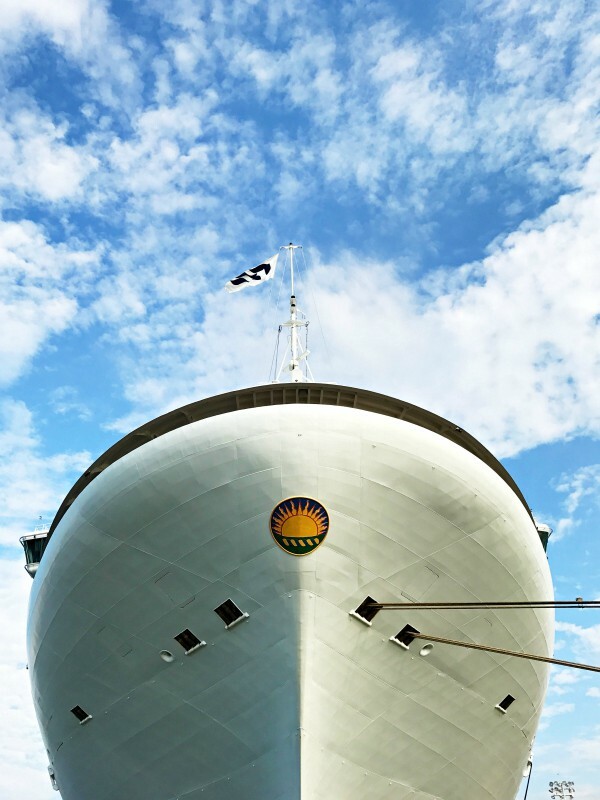 Princess Cruises offers some of the most pristine day excursions, always with fresh, authentic foods. 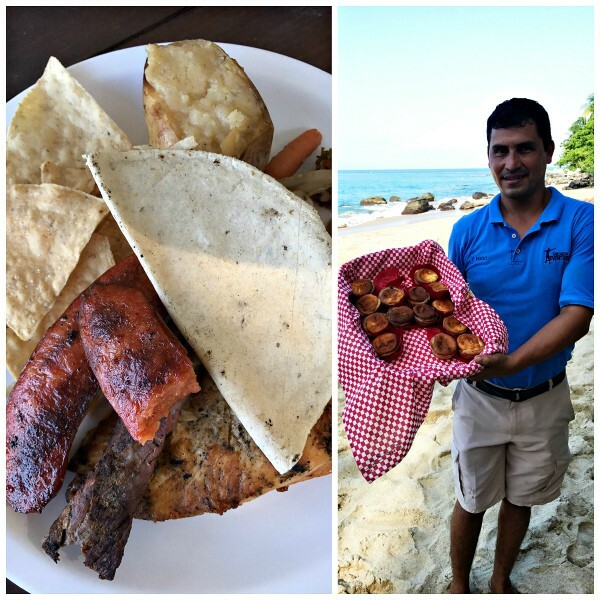 Pizota was our last stop – a tiny settlement well off the radar of most travelers to Vallarta. 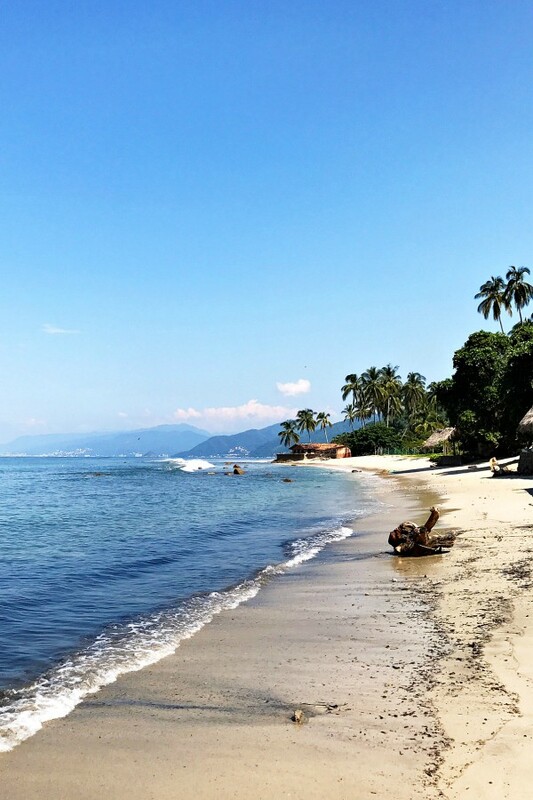 The pace of life is distinctly relaxed in this area of Puerto Vallarta’s white-beach southern shores. 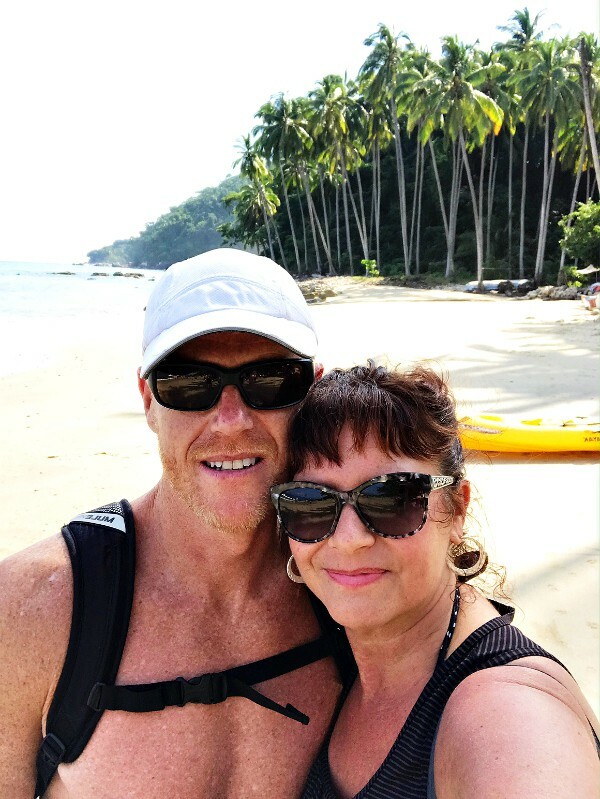 Its spectacular beach and crystal clear waters provide the perfect location for swimming and kayaking, but it is the peace and quiet of this remote village that is truly stunning, offering the perfect opportunity to relax and unwind before returning to the ship. We sipped on wine and fresh, authentic foods, cooked special for our group. 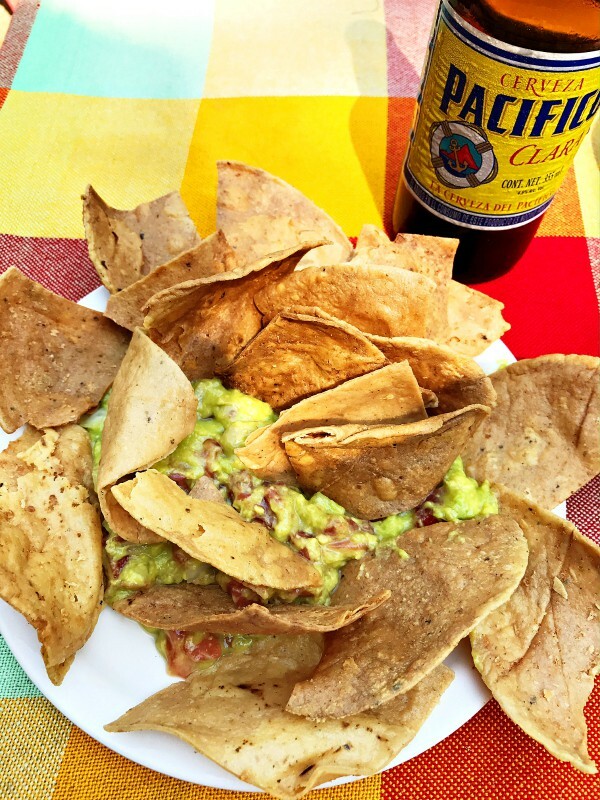 The spicy chirizo was out of this world, served with hot, fresh tortillas. Dessert was coconut cheesecake muffins! Enjoying the warm breeze and waters before we returned to the Ruby Princess. My husband and I were then surprised with the most fabulous Balcony Dinner, and this beautiful sunset from our deck (above). 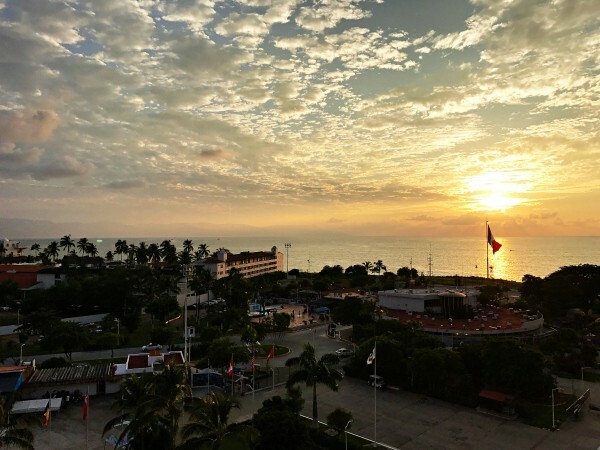 The Malecon Boardwalk: The city’s popular boardwalk by the beach, lined with shops, restaurants and artists selling their wares. 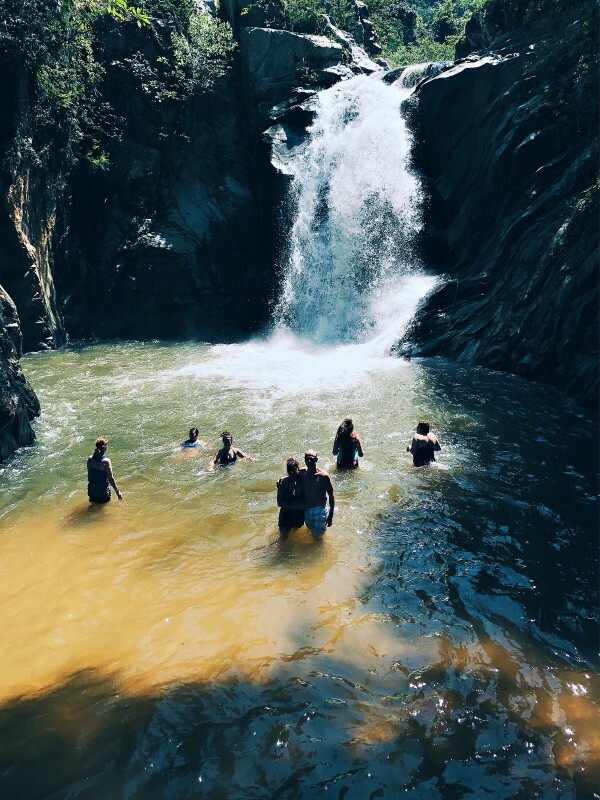 Las Caletas: This secluded cove is accessible by boat only, on the southern shores of Banderas Bay. It’s surrounded by lush jungle, featuring pristine beaches–your own private paradise. 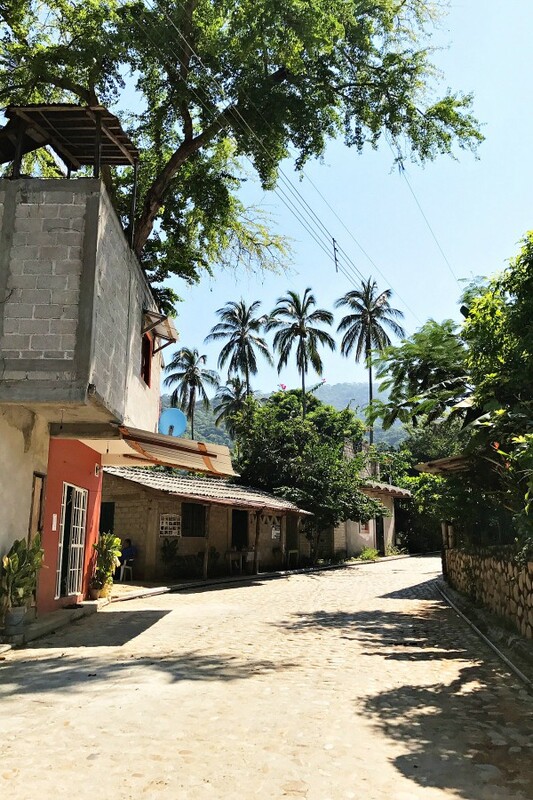 Hacienda Doña Engracia: Puerto Vallarta is known for their tequila, and you can discover and sample the fascinating process of tequila making, from its origins in the blue agave cactus, right to your glass! 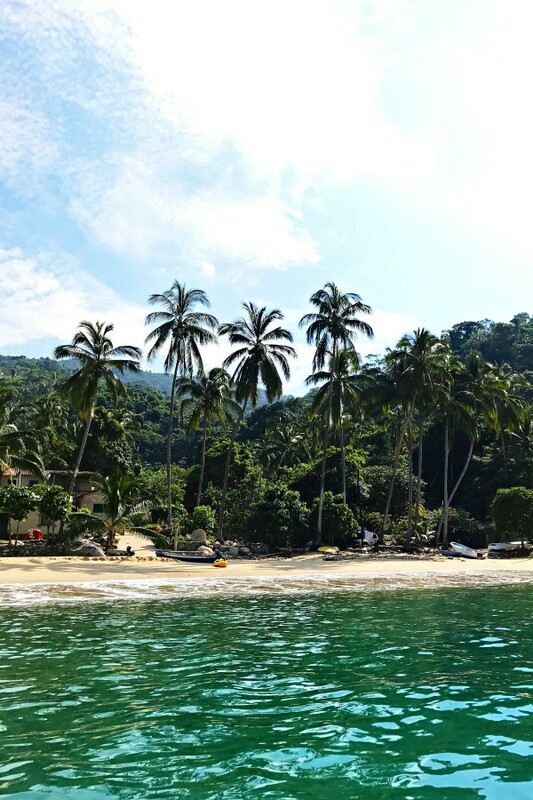 Sleepy and remote Yelapa: Yelapa is a tiny town with a crescent-shaped beach, assessible by boat only. 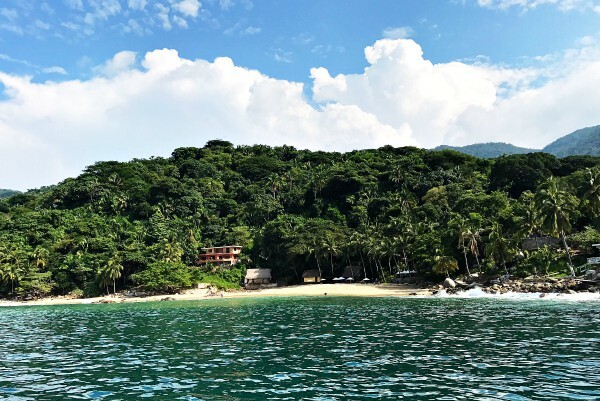 It’s in a cove off Banderas Bay, south of Puerto Vallarta. 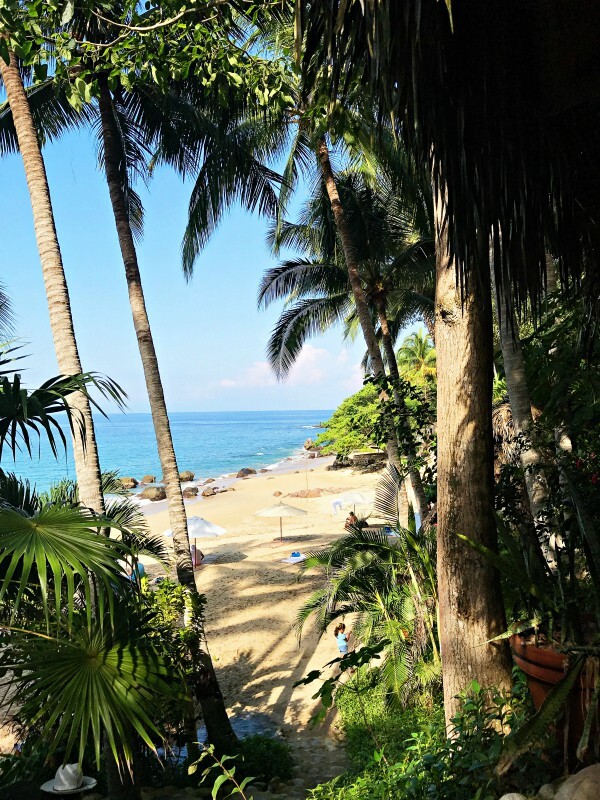 Zipline Outdoor Adventure: Ziplining through the Mexican jungle is another popular thing to do in PV, with options of taking a ride through the countryside by powerful ATV, or kayaking and snorkeling in the warm waters of Puerto Vallarta. 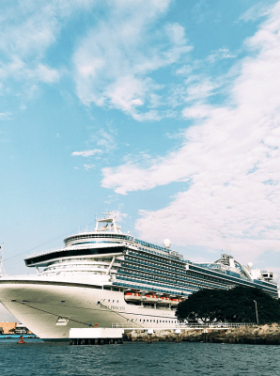 Disclaimer: Paul and I were so honored to be guests of Princess Cruises on a recent 7-day Mexican Riviera Cruise, and I’m grateful for the opportunity to share our experiences with you. 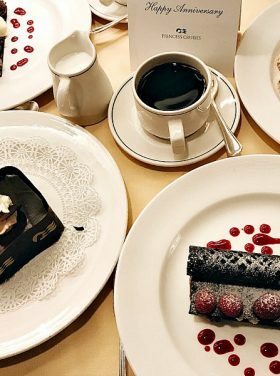 Thank you for supporting us, as we choose very carefully the brands that we work with. As always, all opinions are my own.